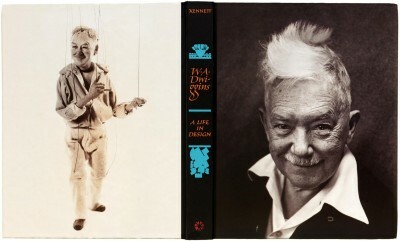 W. A. Dwiggins: A Life in Design . 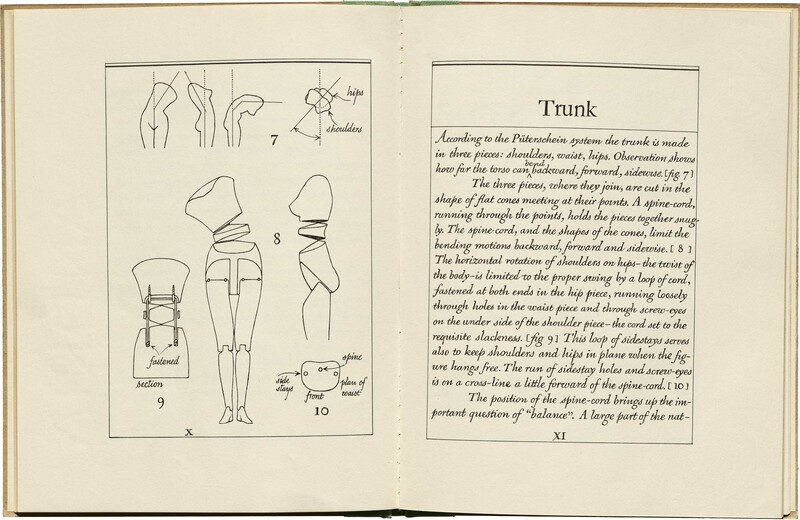 9×11 inches, 496 pages, over 1200 illustrations, hardcover, sewn construction. 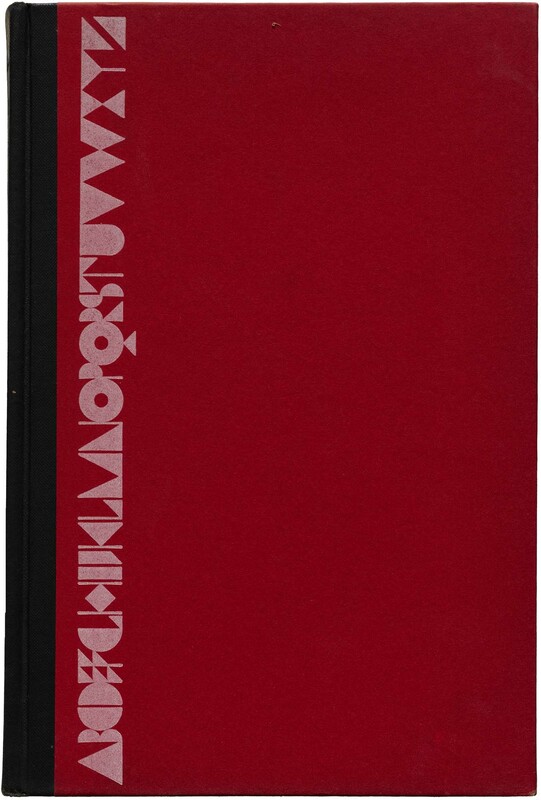 Deluxe edition: Special binding, leather spine, signed and numbered letterpress portfolio of Dwiggins’s writings, slipcase. 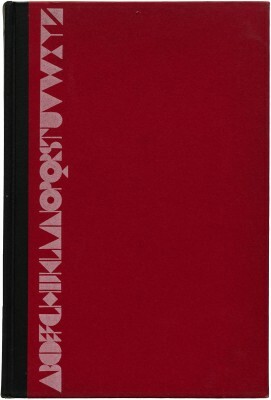 Written and designed by Bruce Kennett, with a foreword by Steven Heller, this is the first biography of one of the most innovative designers of the 20th century. 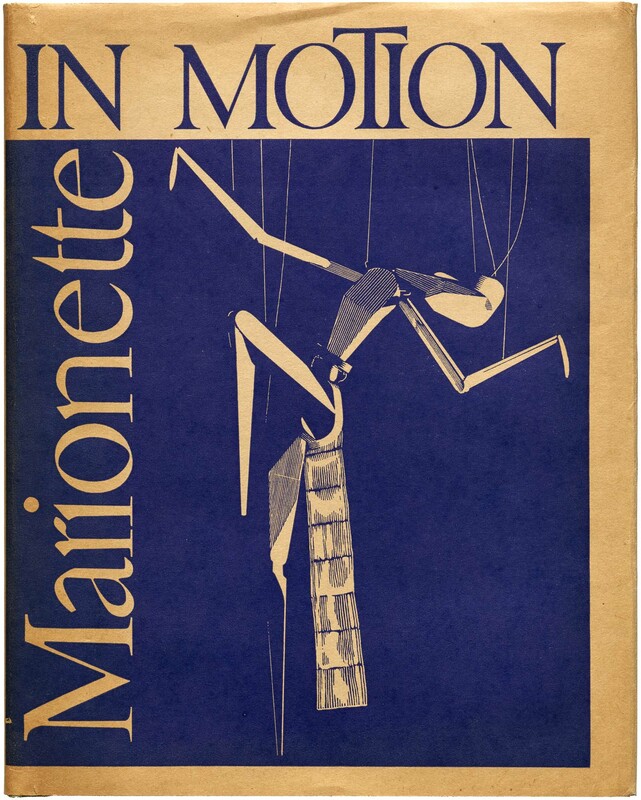 Often credited with inventing the term "graphic design," W. A. Dwiggins was a quintessential maker — fabricating his own tools, inventing techniques, and experimenting with design in areas as wide-ranging as modular ornament, stamps, currency, books, kites, marionettes, and theatrical sets and lighting. 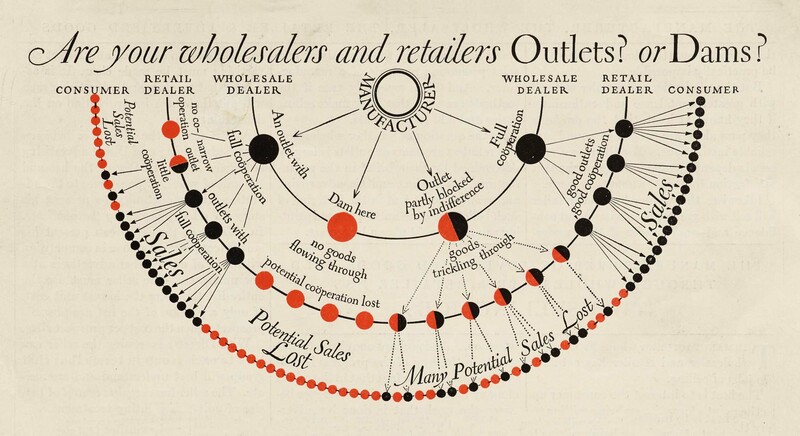 More than any of his contemporaries, he united the full range of applied arts into a single profession — designer. 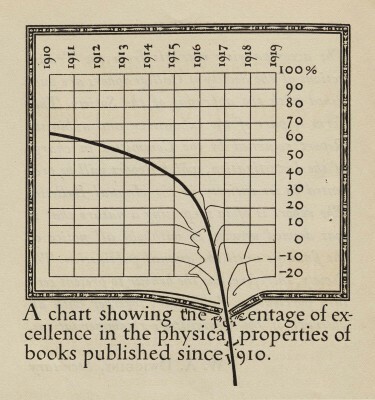 Despite this, a thorough study of Dwiggins has never been published. Until now. W. A. Dwiggins: A Life in Design offers an engaging and inspiring overview of the designer’s wide-ranging creative output and lasting impact on the graphic arts. 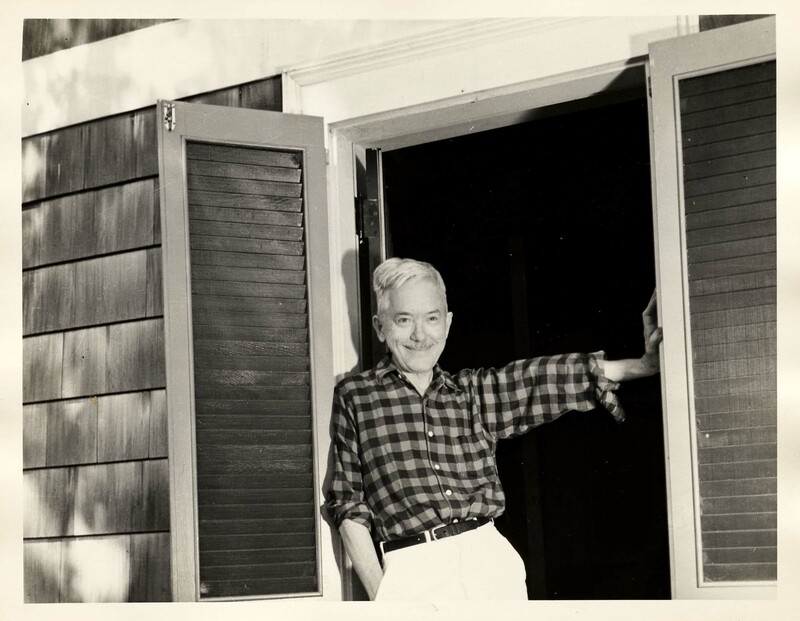 Bruce Kennett’s careful research, warm prose, and inclusion of numerous personal accounts from Dwiggins’s friends and contemporaries portray not only a brilliant designer, but a truly likable character. 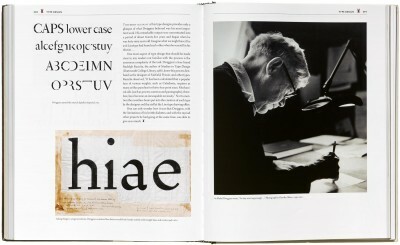 After a successful Kickstarter campaign supported by a community from over 43 countries, the book is now available directly from Letterform Archive. 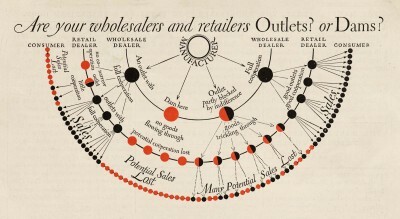 All images are high res and zoomable. Click an image to enter fullscreen view, then pinch (on trackpad or mobile) or use browser zoom (on desktop). 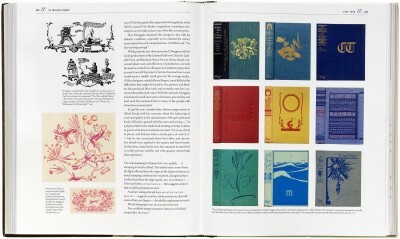 W. A. Dwiggins: A Life in Design is 9×11 inches, with 496 pages including end notes and index, 88,000 words, over 1200 illustrations, many of them reproduced at actual size, printed full color throughout with stochastic screening on Sappi Opus paper, Smyth sewn and manufactured entirely in the USA. 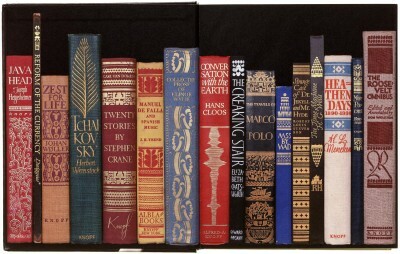 The standard edition is case bound with photographic covers and satin mylar lamination, with a spine featuring Dwiggins ornaments and hand lettering by Richard Lipton. 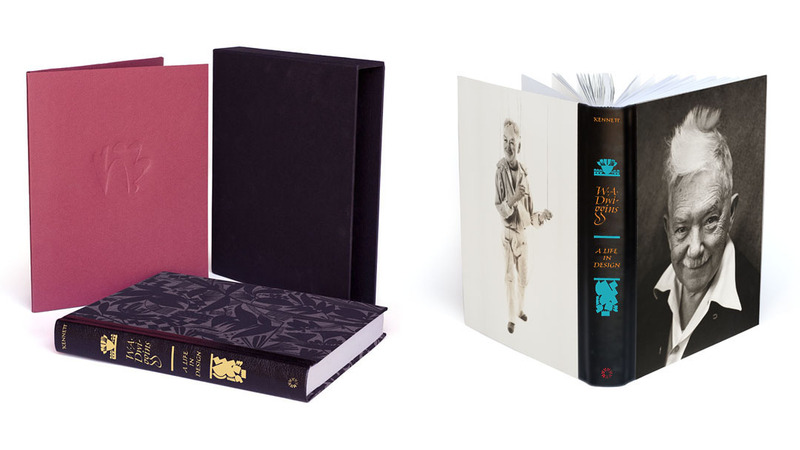 The deluxe edition is specially bound in Dwiggins-designed decorated paper over boards and a genuine leather spine, accompanied by a signed and numbered letterpress portfolio, housed together in a slipcase. 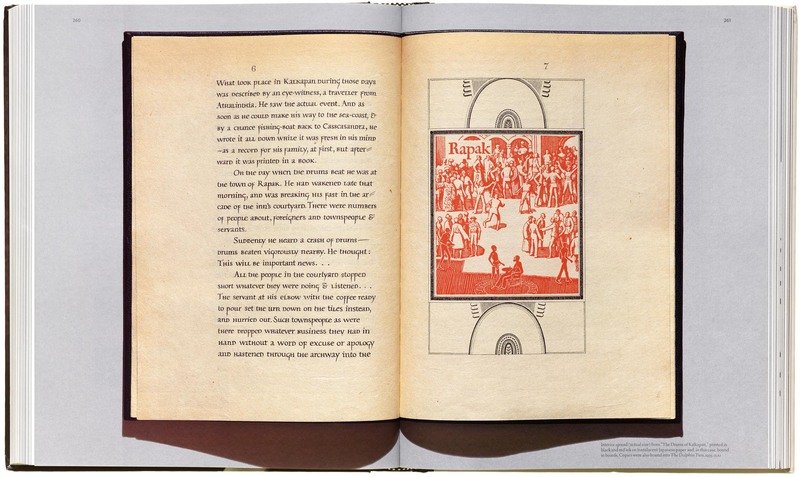 Author Bruce Kennett discovered the work of W. A. Dwiggins in 1972 and has drawn inspiration from it ever since, writing articles, essays, and lecturing widely about the man and his many talents. Bruce has been working steadily on this book since 2003. 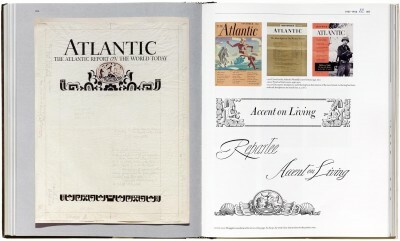 Letterform Archive’s founder Rob Saunders has been collecting Dwiggins since the 1970s, making the Archive’s collection one of the most comprehensive in the world. 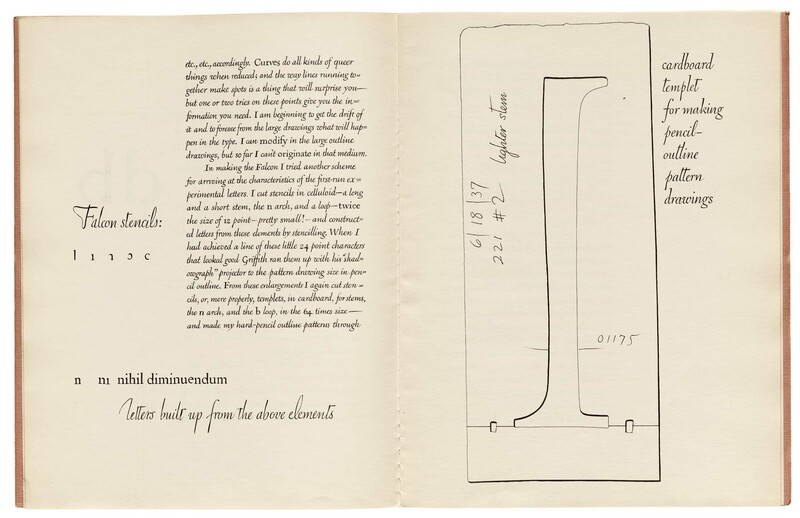 Two years ago, Kennett and Saunders joined forces in a united desire to produce a thorough overview of Dwiggins’s life and a complete chronicle of his work across a range of different arts. 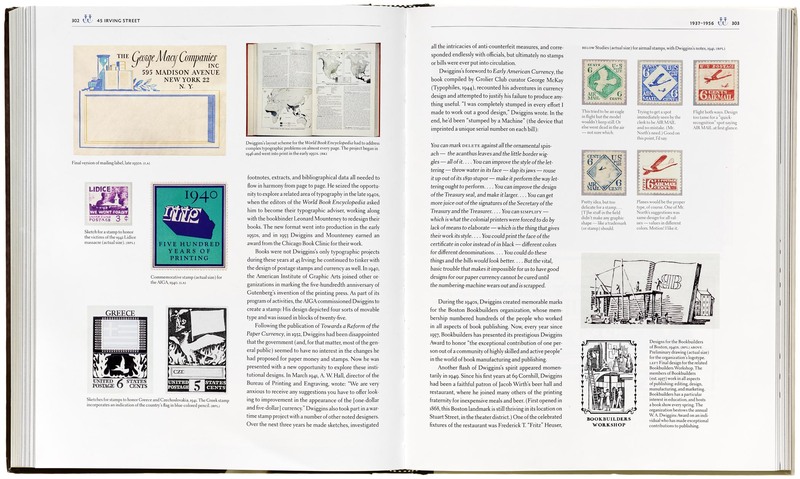 Using material from the collections of Letterform Archive, the Boston Public Library, and Kennett’s private holdings, this lavishly illustrated book celebrates Dwiggins’s remarkable output using the most advanced photography and printing technology available. LfA Aluminia. 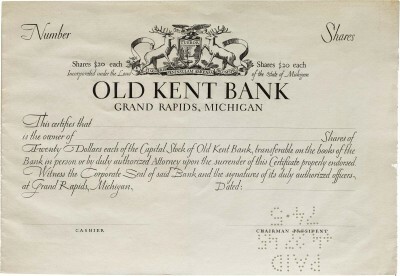 A family of OpenType fonts in four styles: Roman, Oblique, Cursive, and Small Caps. 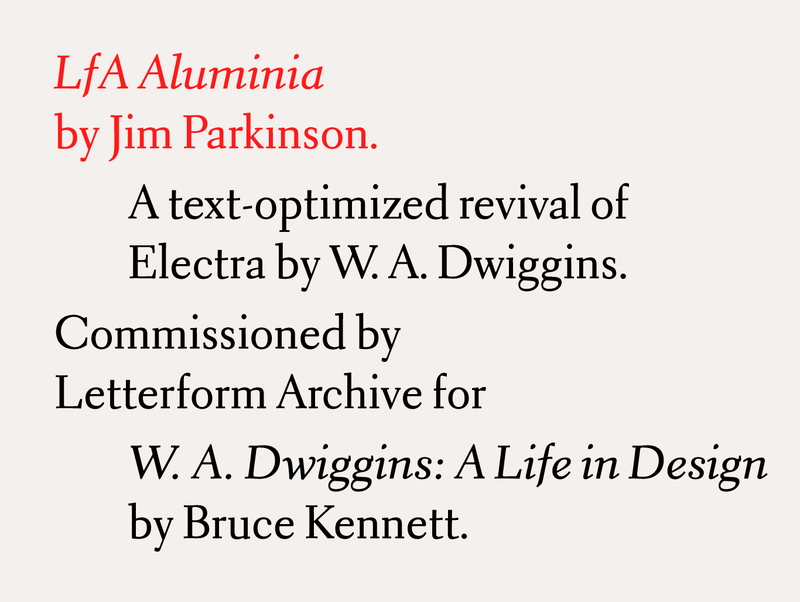 To commemorate and renew Dwiggins’s contribution to 20th-century typography a revival of Electra, one his most important typefaces. 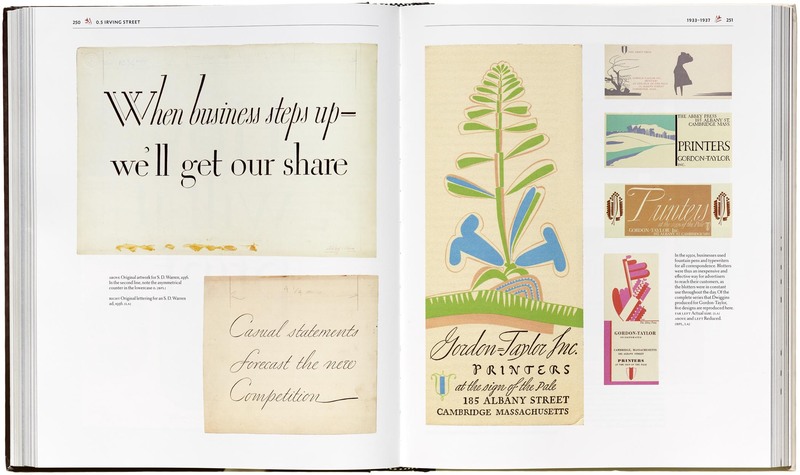 Referring directly to authentic Linotype drawings in the collections of Letterform Archive and the Boston Public Library, master letterer and type designer Jim Parkinson digitally restored the sturdy yet elegant shapes, readability, and vigor of the metal original. 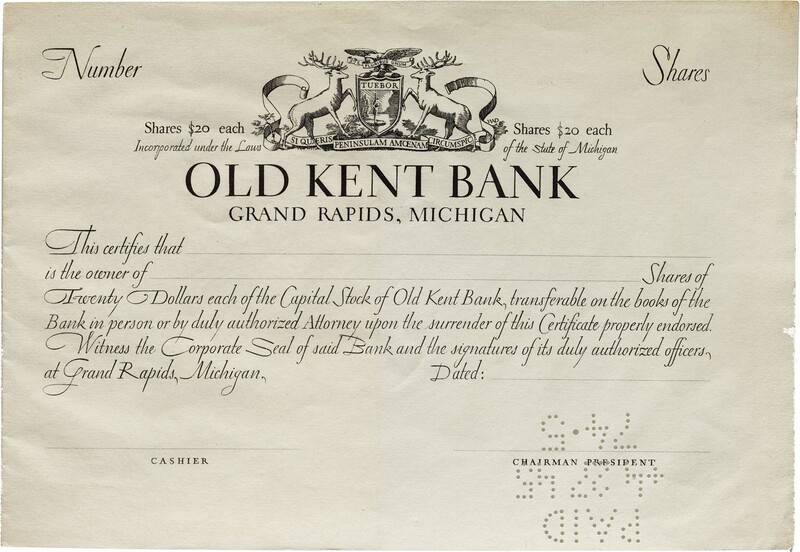 Not only is this new typeface, LfA Aluminia, used for the book, but it is now available to our community for licensing. 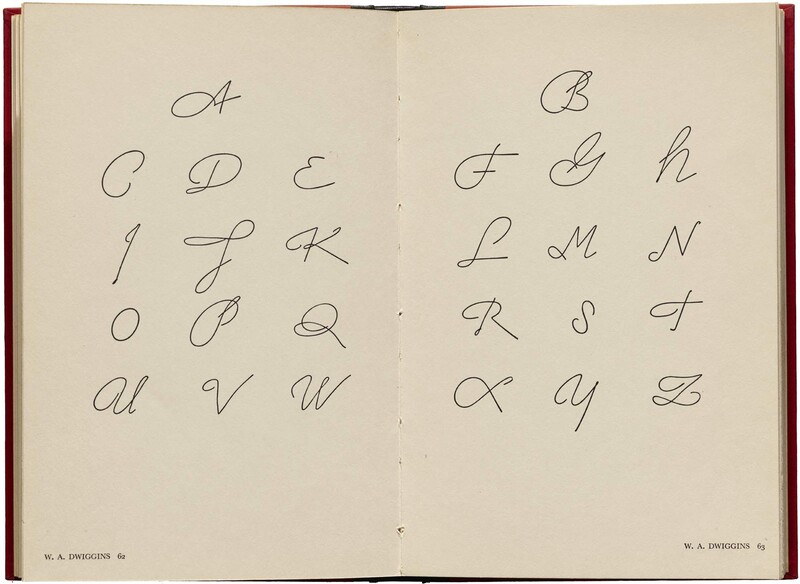 Learn more about the typeface. 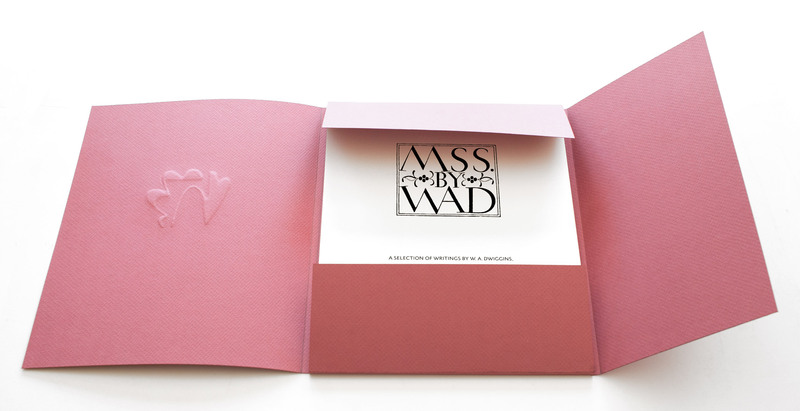 Rare type and talent went into the making of the letterpress portfolio for this project. The deluxe edition of Bruce Kennett’s Dwiggins biography includes a portfolio of Dwiggins’s writings, set in his own typefaces made for the Linotype machine. (The standard edition of the book includes high-fidelity reproductions of these pages.) 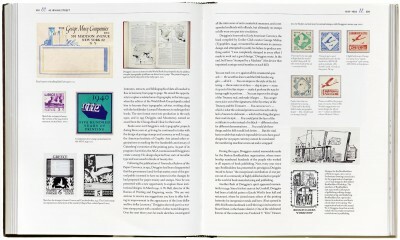 In his book’s acknowledgments, Bruce thanks “the Metal Squad who produced the letterpress portfolio (which also appears in the book as the Writings section): Michael Babcock, Darrell Hyder, John Kristensen, and Andrew Steeves, all of whom brought not only their experience and skills, but also their respect and admiration for Dwiggins.” Learn more about the letterpress portfolio. 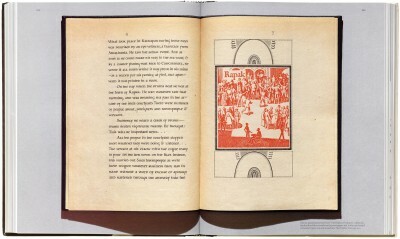 Bruce Kennett (author/designer) is a designer of books and exhibits, photographer, writer, and teacher. He studied calligraphy and book design with Austrian artist Friedrich Neugebauer, and later translated Neugebauer’s book The Mystic Art of Written Forms. Kennett also served as manager and book designer at Maine’s Anthoensen Press. 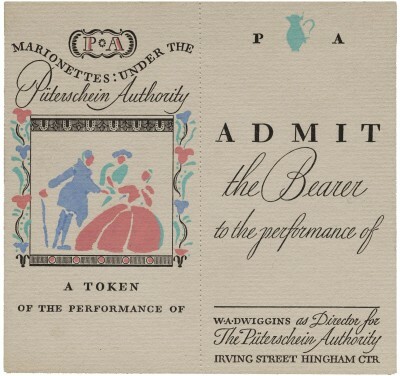 His client list ranges from the Folger Shakespeare Library and the Grolier Club to L.L.Bean and the Mount Washington Observatory. Steven Heller (contributor) is cochair of the MFA Design: Designer as Author + Entrepreneur program at the School of Visual Arts (SVA). He is the author or coauthor of over 170 books on design and popular culture, including biographies of Paul Rand and Alvin Lustig. 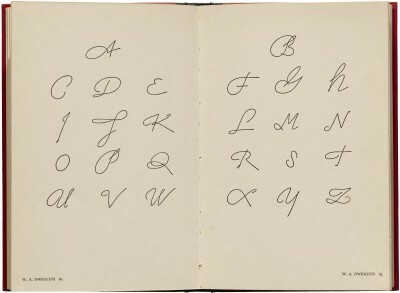 Rob Saunders (publisher) is a designer, teacher, and management consultant with a lifelong interest in the letter arts. 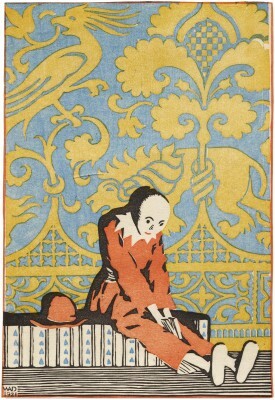 Rob taught at The Museum School in Boston, then published graphic design and children’s books through the Alphabet Press, Picture Book Studio, and Rabbit Ears Books imprints. 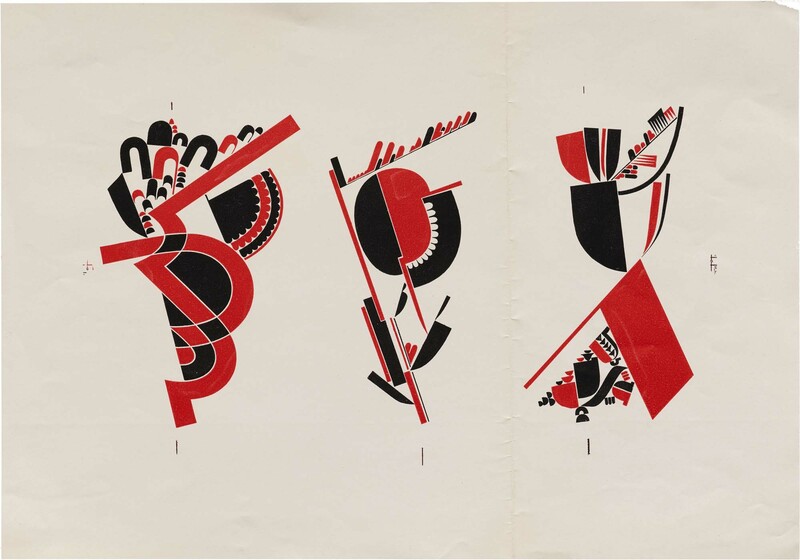 After forty years of collecting graphic design and lettering, he founded Letterform Archive to make the collection available to students, designers, and admirers of the letter arts. Jennifer Sime (associate publisher) combines curatorial, publishing, and management expertise, having worked at the Baltimore Museum of Art, the San Francisco Museum of Modern Art, William Stout Publishers, and as executive director of the Book Club of California. 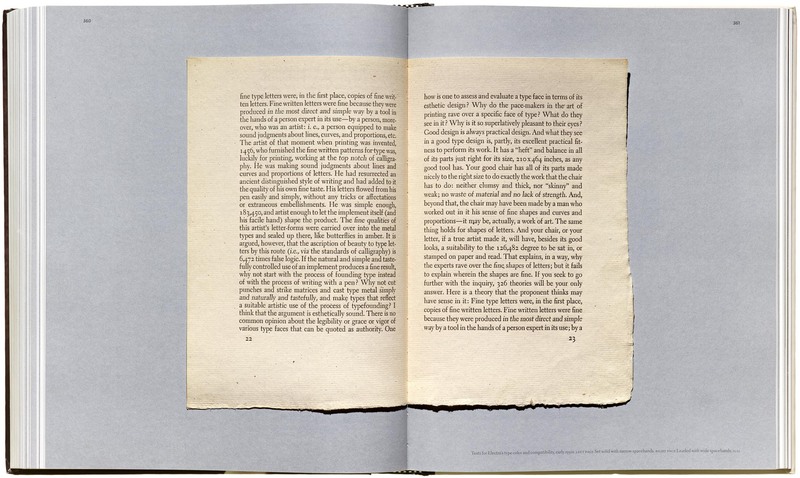 She served as Associate Publisher at Letterform Archive from 2016–17. Doris Troy (editor) brings decades of experience in copyediting and proofing books, magazines, catalogs, newsletters, and menus. 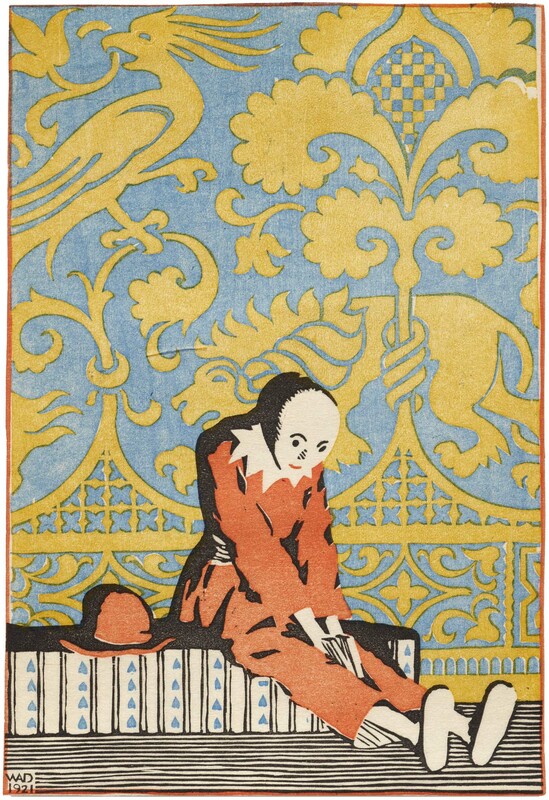 Penmor Lithographers (printer) of Maine is a leading printer for education, fine arts, financial, and commercial clients. AcmeBinding (binder) has been central to Boston publishing since 1821, offering edition binding for trade publishers, hand binding, book restoration, and library services. 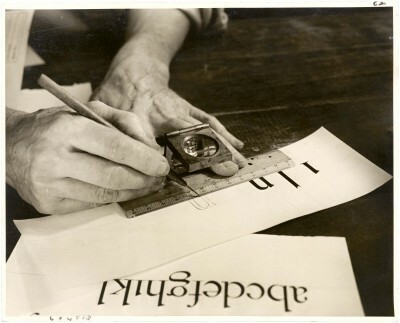 Jim Parkinson (type designer) has been designing letterforms professionally for over fifty years, starting as a lettering artist for Hallmark Cards in 1964. Parkinson’s digital revival of Dwiggins’s Electra typeface was commissioned expressly for use in this book. 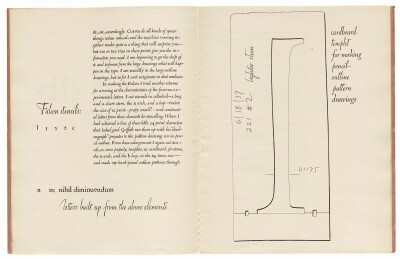 Richard Lipton (lettering artist) is a calligrapher and type designer associated with Font Bureau and Type Network. He teaches at Rhode Island School of Design. 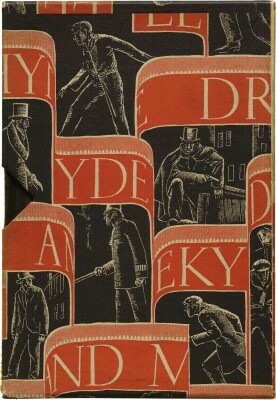 Richard lettered the book’s spine. 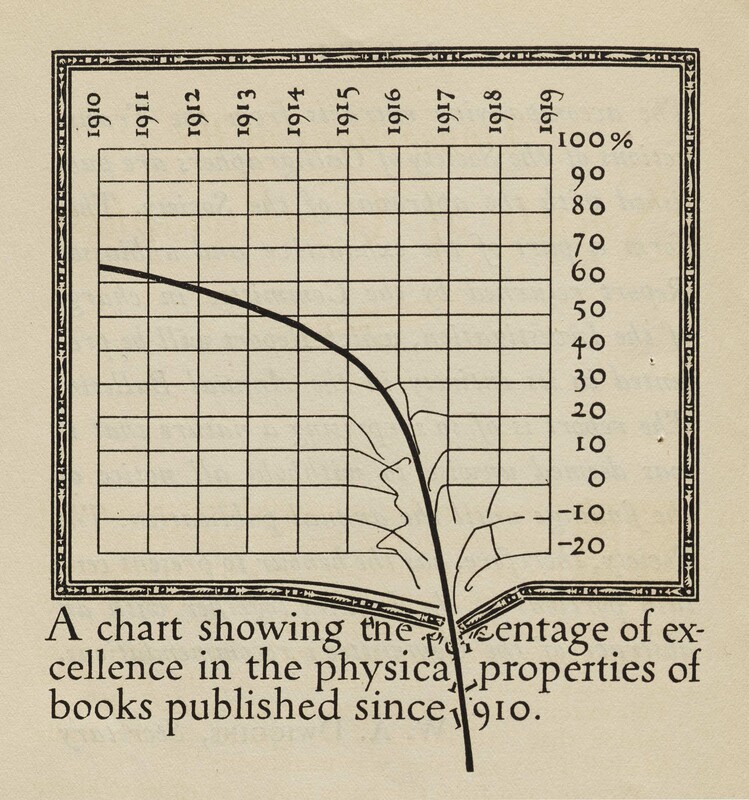 Dwiggins had a lifelong interest in ornament. 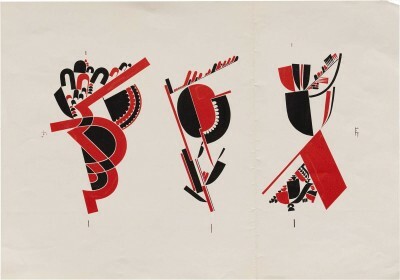 Having grown up in a musical household, he had a deep love of the structure and beauty of music, and felt those qualities could be extended to graphic ornamentation as well. 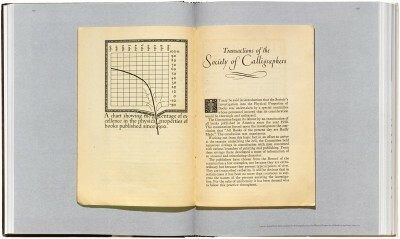 By around 1915 Dwiggins had begun to make repeating patterns of shapes by using two different techniques: wooden stamps and stencils made from celluloid. 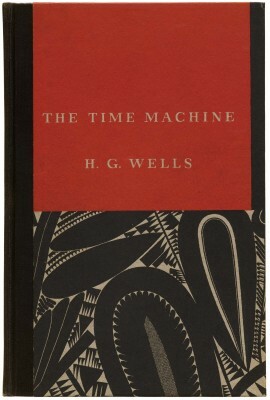 Through the remainder of the 1920s and beyond, Dwiggins continued to refine his stencil techniques as he made both decorations and illustrations. 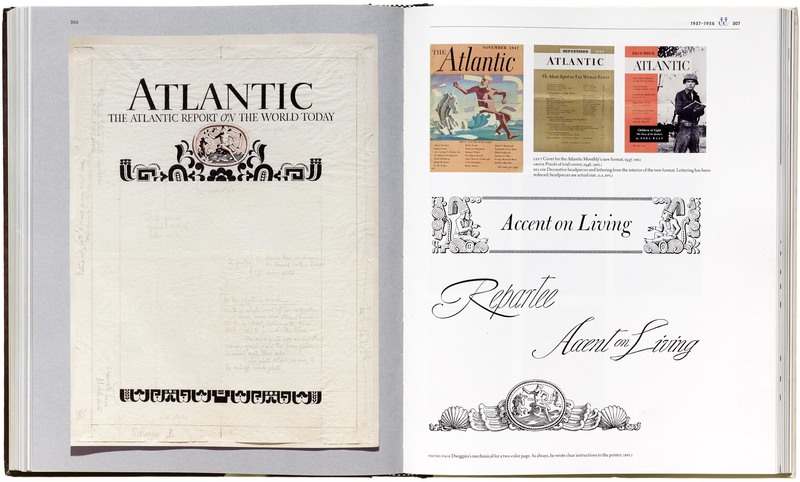 Learn more about Dwiggins and ornament. 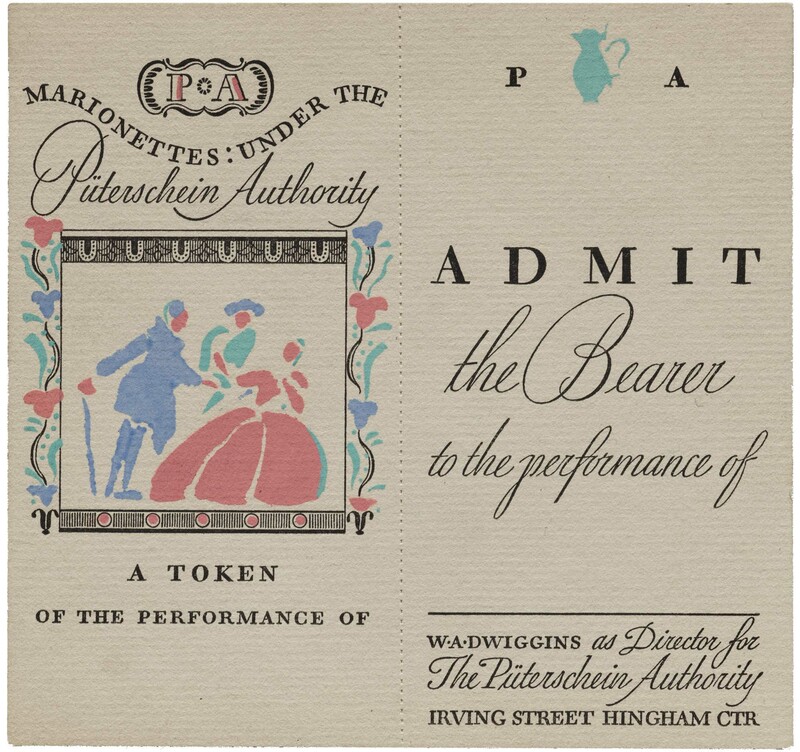 Thanks to the tremendous support from Kickstarter backers, we were able to reach our stretch campaign to digitize more of the rarest Dwiggins objects in our collection and share them in an online gallery. 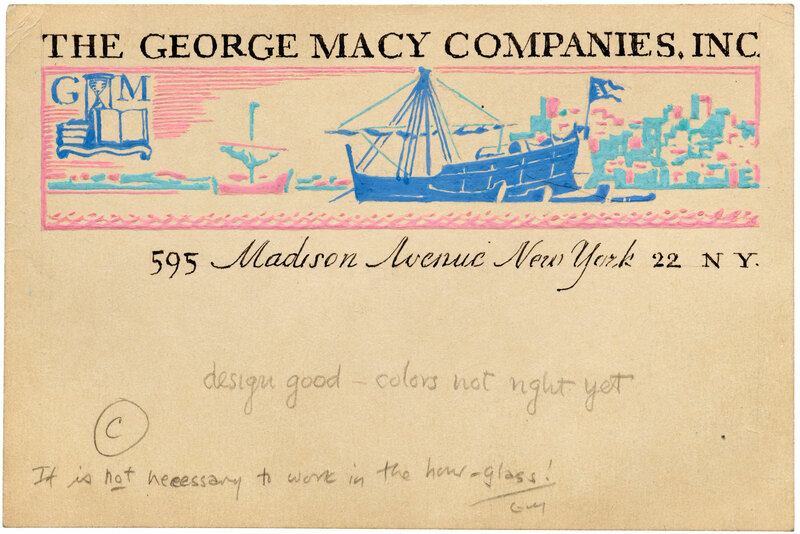 While A Life in Design includes over 1200 illustrations, it represents only a segment of Letterform Archive’s holdings, which include process work, original sketches, typeface proofs, and other unique material rarely seen outside our doors. 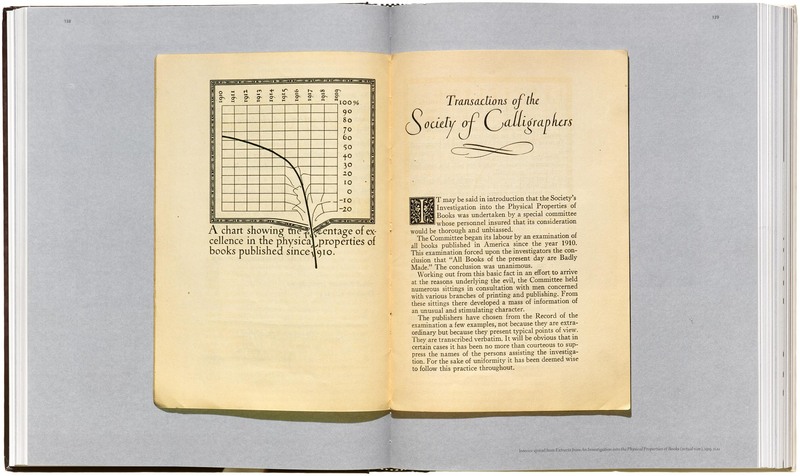 A rich web gallery will introduce Dwiggins to designers and makers around the globe. See a preview of images from this project.